Us Gozitans are a bunch who like to plan, curate, celebrate and eat and, with Easter coming up, preparations are at an all-time high. Housed in the spectacular Il-Hagar Museum, this philatelic exhibition will take you on a journey of Lent and Easter, carving a socio-cultural window into the season’s celebrations. 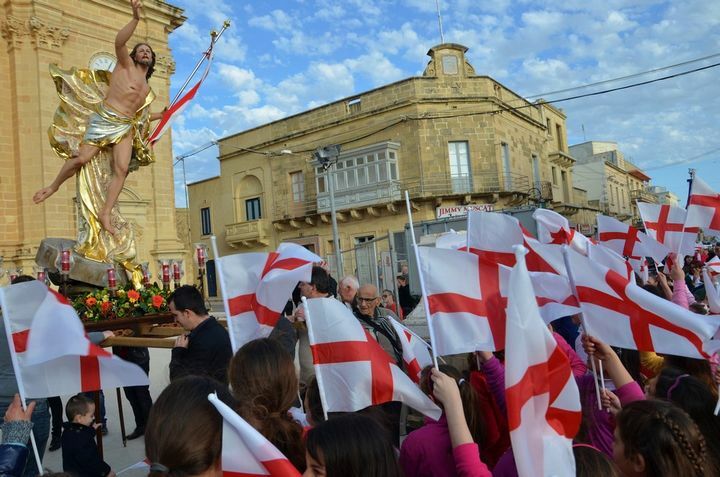 Every village organises its own Our Lady of Sorrows Procession, but the Xewkija one is now well-renowned. The pageant-procession leaves from the Church and proceeds through several streets in Xewkija. An exhibition of works of art by Paolo Camilleri Cauchi. An original exhibition featuring Spanish miniature statues depicting the passion of the Christ. The decor also promises to be intelligently made to complement the statues, with a Sepulcher altar topping the exhibition. For the third year running, the Gharb Local Council will be organising a ‘Salt Infiorata’, consisting of three installations curated by foreign groups together with the Gharb Infiorata Group. Ta Passi Fields in Ghajnsielem will take on new life after the success of the Christmas village which runs every year throughout December. For Easter, the area will be transformed in a period village with Biblical characters reenacting the time of Jesus’ passion. Head on to Xaghra Parish Church for an evening of sacred music under the artistical direction of Mro. Joe Galea and with the participation of Victory AD 1898 band. Every church in Gozo decorates a sepulcher. Churches stay open late, welcoming the faithful and offering a place for deep reflection. Locals traditionally visit 7 churches, with prayers in each in preparation for Good Friday. Good Friday in Xaghra should definitely not be missed. 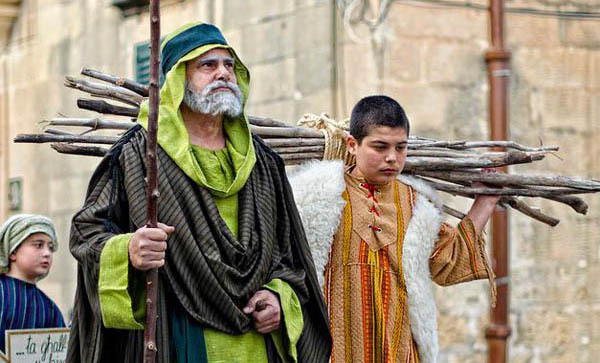 The procession held in this village is one of the most devote and well-known with thousands of spectators living the Passion through hundreds of locals dressed as Biblical characters. A number of participants also wear hoods and carry crosses or pull chains as an act of thanksgiving to God or to fulfill vows. The procession also features ten statues made in Lecce, depicting the Passion of the Christ. Holy Week culminates in a lively procession with the statue of the Risen Christ, which literally runs through various streets in the village. A must-see, especially if super energised from binging on chocolate easter eggs. This event promises loads of family fun on Easter Sunday with crafts, a visit by the Easter bunny, balloon art, rides, jumping castle, rabbit petting, easter egg treasure hunt and more. Now that we’ve gone over the events you shouldn’t miss while in Gozo, allow us to add a culinary tip: do not miss out on tasting some delicious figolla – the little Easter pop up shop next to the Xaghra church has the best and most traditional Easter delicacies.